Allahabad High Court Admit Card 2019: Below are the admit cards published by Allahabad High Court - Allahabad High Court / www.allahabadhighcourt.in. The recent Admit Card issued for the recruitment drive is UPHJS Mains Admit Card 2019. Allahabad High Court UPHJS Mains Admit Card 2019: Allahabad High Court has issued the Admit Card on 20 Apr 2019 for UPHJS Mains Exam 2019. Allahabad High Court Addl PS & ARO Admit Card 2019: Allahabad High Court has issued the Admit Card on 09 Apr 2019 for Allahabad High Court Addl PS & ARO Exam 2019. 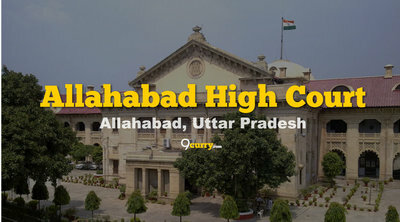 Allahabad High Court UPHJS 2014 Result 2019: Allahabad High Court has issued the Admit Card on 07 Mar 2019 for UPHJS 2014 Exam 2019. 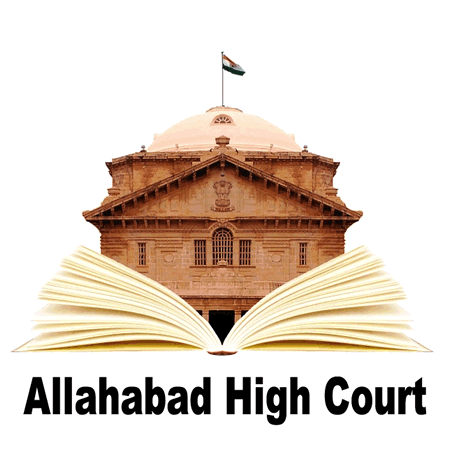 Allahabad High Court UPHJS Interview Letter 2019: Allahabad High Court has issued the Admit Card on 05 Mar 2019 for Allahabad High Court UPHJS Exam 2019. Allahabad High Court Group-C, Group-D and Stenographer Admit Card 2019: Allahabad High Court has issued the Admit Card on 28 Feb 2019 for Group-C, Group-D and Stenographer Exam 2019. Allahabad High Court APS, ARO, Driver Admit Card 2019: Allahabad High Court has issued the Admit Card on 14 Feb 2019 for APS, ARO, Driver Exam 2019. Allahabad High Court Additional Private Secretary Admit Card 2019: Allahabad High Court has issued the Admit Card on 14 Feb 2019 for Allahabad High Court Additional Private Secretary Exam 2019. Allahabad High Court UP Civil Court Staff Admit Card 2019: Allahabad High Court has issued the Admit Card on 11 Jan 2019 for UP Civil Court Staff Exam 2019 which is scheduled to be held on 21 Jan 2019. Allahabad High Court DHJS Pre 2018 Admit Card 2019: Allahabad High Court has issued the Admit Card on 09 Jan 2019 for the exam. Allahabad High Court Translators Admit Card 2018: Allahabad High Court has issued the Admit Card on 05 Dec 2018 for Translators Exam 2018. Allahabad High Court Legal Assistants Admit Card 2018: Allahabad High Court has issued the Admit Card on 05 Dec 2018 for Legal Assistants Exam 2018. Allahabad High Court UPHJS Limited Competitive Departmental Main Exam Admit Card 2018: Allahabad High Court has issued the Admit Card on 03 Dec 2018 for UPHJS Limited Competitive Departmental Main Exam 2018. Allahabad High Court HJS Phase I Mains Admit Card 2018: Allahabad High Court has issued the Admit Card on 01 Dec 2018 for Allahabad High Court HJS Phase I Mains Exam 2018. Allahabad High Court Driver Admit Card 2018: Allahabad High Court has issued the Admit Card on 20 Nov 2018 for Allahabad High Court Driver Exam- 2018. Allahabad High Court Stenographer Gr III & Group C Admit Card 2018: Allahabad High Court has issued the Admit Card on 13 Sep 2018 for Stenographer Gr III & Group C Exam 2018. Allahabad High Court Law Clerk (Trainee) Interview Call Letter 2018: Allahabad High Court has issued the Admit Card on 14 Aug 2018 for Law Clerk (Trainee) Interview 2018. Allahabad High Court Stage-II Exam of Contractual ICT Posts Admit Card 2018: Allahabad High Court has issued the Admit Card on 25 Jul 2018 for Various Group D, Class III, Class IV and Other Post Recruitment 2017.